One of the hazards of local history research is having confidence in the sources of information. For example, Riland Bedford in his History of Sutton Coldfield published in 1890 confidently states that the building at 1, 3 and 5 Coleshill Street had been the Rectory in the seventeenth century, but recent research has shown that it was a former public house, which only came into the possession of the Rector in the Eighteenth century. Another historical error, carved in stone, relates to Bishop Vesey: the date of his death given on his tomb is 1555, whereas the bronze tablet in the Vesey Memorial Garden outside the church gives the correct date, 23rd October 1554. The panel with its long inscription on Bishop Vesey’s tomb was placed there in 1748 by Sir John Wyrley of Hampstead in Handsworth, who claimed descent from one of Vesey’s sisters. Records of Vesey’s death are dated in “the year of the reigns of Philip and Mary by God’s grace King and Queen of England France Naples Jerusalem and Ireland Defenders of the Faith Princes of Spain and Sicily the first and second”, so converting this to mean 1555 instead of 1554 was an easy mistake. The panel gives Vesey’s birth year as 1452, which is in accordance with Dugdale’s assertion that he died in his 103rd year, whereas the bronze tablet gives c.1462. Most accounts of Vesey, such as the Dictionary of National Biography and W.K.Riland Bedford’s works, prefer to give the later date of 1465 for his birth, on the basis that he is known to have entered Magdalen College, Oxford, in 1482, and the usual age for going to university at that time was 17. Vesey, christened John Harman, was the eldest of four children and as his father, William Harman, is known to have died in 1471, a later date than 1465 would be hard to justify. Riland Bedford suggests that, after his father’s death, the six-year-old John Harman was sent away to a great house to be educated, possibly his aristocratic relatives the Veseys of Oxfordhire, possibly the Collett after whom Colletts Brook is named. A more fanciful theory is that his father William Harman may have been in the service of his feudal lord, the Earl of Warwick, and died with the Earl at the Battle of Barnet in 1471, leaving his eighteen-year-old son John either to flee to France or to take charge of the family under the new regime. This theory assumes that Vesey had been educated at a great house before 1470, and that he was unable to go to university while Edward IV was on the throne. Proving the date of birth seems impossible, but there is one indication of his great age, given by Hugh Latimer, the first Anglican martyr. In 1532 Latimer was tried in convocation for heresy facing “the full array of staunch conservatives”, not only the Bishop of London but Warham Lee Gardiner Fisher and Vesey took turns to interrogate him. He wrote “an aged man (Vesey) put forth one question, a very subtle and crafty one”. Warham at the time was 82, while the Bishop of Chichester, Bishop Sherbourne, was 92, so for Vesey to be described as an “aged man” in such company he must surely have been aged 80 rather than 67. 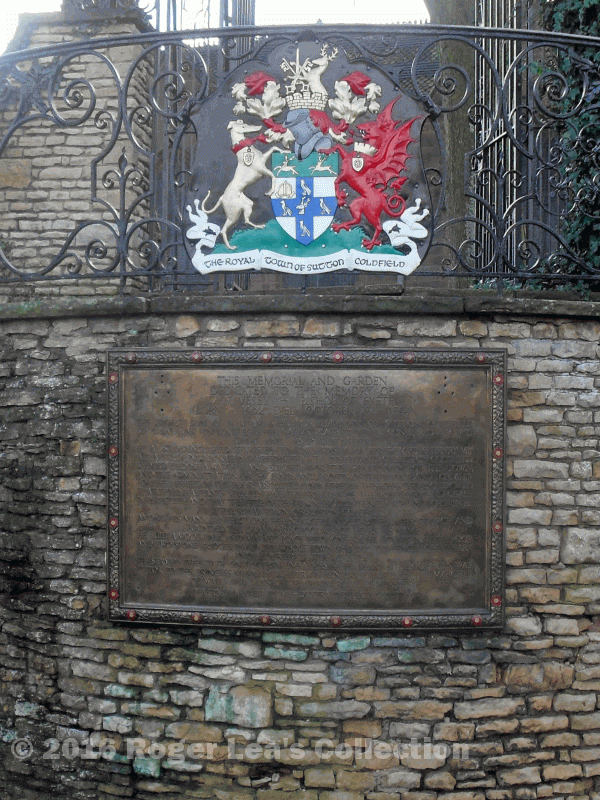 The bronze tablet in the Vesey Memorial Gardens at the top if Mill Street list Bishop Vesey’s benefactions and achievements.